A seagull perched atop the roof of a building in front of the Portland Head Light lighthouse in Cape Elizabeth, Maine. This photo would go well with any maritime themed decor, and compliments our Cape Elizabeth series nicely! Built in 1791, Portland Head Light is one of the most photographed and visited lighthouses in the world. 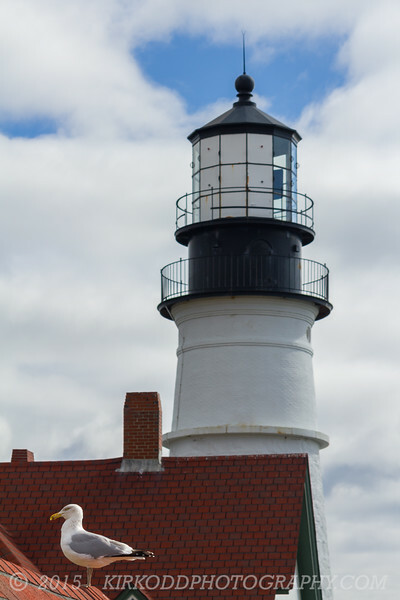 Located in Cape Elizabeth, Maine, this beautiful lighthouse is a landmark that invokes the true spirit of historic New England.